On March 13, 2013, Chief Cabinet Secretary Yoshihide Suga announced the laureates of the Second Hideyo Noguchi Africa Prize. 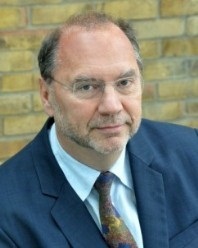 Dr. Peter Piot, the laureate of the Medical Research Category, devoted indefatigable energies to the clinical analysis of diseases of devastating impact in Africa, including HIV, Ebola, chlamydia, Tuberculosis and gonorrhea, and dedicated years of his life to research and training medical personnel all over the continent. Dr. Alex Godwin Coutinho, the laureate of the Medical Services Category, working directly with Africa’s oldest HIV patients’ advocacy organization, TASO (The AIDS Support Oraganisation) ,created strategic models of HIV prevention and treatment that can be widely applied to thousands of individuals long underserved for all forms of health care, and empower patients, families and communities. The award ceremony will be organized on June 1, 2013 in Yokohama, on the occasion of TICAD V (The Fifth Tokyo International Conference on African Development). Please see the following pages for their profiles and details of their achievements. The Second Hideyo Noguchi Africa Prize for Medical Research goes to Dr. Peter Piot for his pivotal research on diseases endemic to much of the African continent, including HIV, Ebola, chlamydia, tuberculosis and gonorrhea. In 1976, Dr. Piot, then at the Institute of TropicalMedicine in Antwerp, devoted indefatigable energies to the epidemiology, virology and clinical analysis of diseases of devastating impact in Africa, and dedicated himself to research and training all over the continent. Dr. Piot was part of the team that discovered Ebola in Zairein 1976, and among the first to confirm the presence of heterosexually transmitted HIV and pediatric AIDS in Africa. 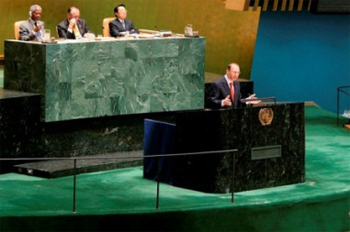 Through his prominently published scientific papers, and powerful role on the global stage, Dr. Piot has broughtthe HIV pandemic to the forefront of global attentionand concern, raised international commitments to its funding and control, and built scientifically grounded responses to the control and treatment of the disease. I am honoured and grateful to have been considered for this award. Dr Noguchi holds a special place in the history of medical research. He has been an inspiration for my own work on infectious diseases in Africa, where I have tried to bridge laboratory science, population basedresearch, policy and action on the ground to save lives. As well as recognising the legacy of Dr Noguchi, the Japanese Government has shown tremendous vision andparticularly its commitment to Africa through the TokyoInternational Conference on African Development. I must thank my family and the many amazing colleagues around the world. While we have achieved many successes against infectious diseases,AIDS, tuberculosis, malaria, many other diseases are far from being under control,particularly in sub-Saharan Africa. We must sustain current local and global efforts for many years to come. 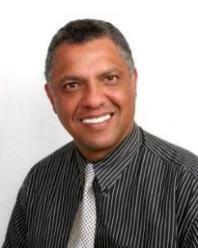 Moved to Swaziland and initiated the very first HIV awareness and prevention programme in the private sector. Served as a clinician responsible for the emerging cases of HIV. Working directly with Africa’s oldest HIV patients’ advocacy organisation TASO (The AIDS Support Oraganisation), Dr. Coutinho has created models of HIV prevention, care, and treatment that both bring high professional rigor to medical services, and empower patients, families and communities. 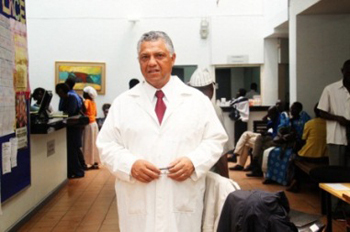 Dr. Coutinho’s efforts focused on the needs of the poorest of the Africa’s poor, bringing AIDS care to thousands of individuals long underserved for all forms of health care, thus serving as a model of applicable for a broader range of medical exigencies. 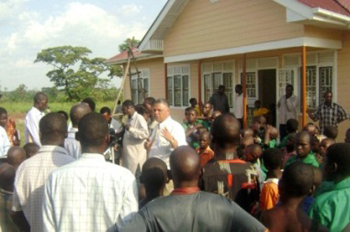 Dr. Coutinho took the TASO community model and adapted it to treatment scale up so that ARVs could reach the needy in the remotest corners of Uganda. The model is now been adopted globally and enables the poorest to get their treatment close to where they live. I am overjoyed and overwhelmed at receiving the news of becoming a laureate. This recognition by the Japanesegovernment and the Japanese people honouring the memoryof Dr. Noguchi represents the highest recognition for a medical doctor in Africa. I have practiced medicine and public health in Africa focusing primarily on HIV, TB and Malaria for the past 30 years and today this prize makes all the sleepless nights and stressful days worthwhile. This prize would not have been possible without the support and partnerships with people living with HIV, my teachers, fellow health professionals as well as the wonderful institutions like TASO and IDI. I thank the people of Japan and its leadership for the vision to honor the memory of your noble son while inspiring those of us who will continue with his work in Africa. 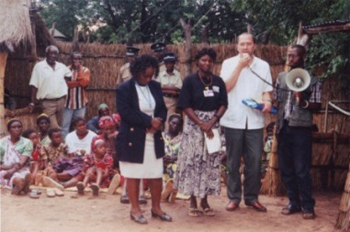 Addressing Community in Livingston, Zambia. "Toward a New-Born Fukushima Filled with Dreams, Hopes and Smiles"
Dr. Piot and Dr. Coutinho, please accept my congratulations on winning the Second Hideyo Noguchi Africa Prize. Since Dr. Hideyo Noguchi, a worldwide medical scientist born in Fukushima Prefecture, is admired by all of us in Fukushima, this prize winning is happy news also for the people of Fukushima. The challenge of improving medical care in Africa has involved tremendous difficulties both in the past and at present. I sincerely respect the hardships that the two doctors endured and the achievements they made in their research and activities. Two years have passed since the Great East Japan Earthquake, which caused enormous damage to our prefecture, but still, more than 150,000 people of Fukushima are living in shelters as evacuees in and outside the prefecture. At the same time, however, thanks to the warm support from in and outside Japan in various forms, Fukushima Prefecture has begun to take steady steps toward reconstruction. In Fukushima, progress has been made in the restoration of social infrastructure, and companies’ production activities have recovered. Also, there has been other good news, such as the resumption of agricultural products exporting and broadcasting NHK’s period drama titled "Yae No Sakura" called Yae Niijima from Fukushima Prefecture. I feel that the steps toward reconstruction will further accelerate in the future. However, the impression of nature-rich Fukushima has been seriously affected by the nuclear disaster. In order to dispel harmful rumors, it is important to send out correct and reliable information. To that end, it is vital to have people actually visit, see, and feel Fukushima. I ask the doctors who won the prize to visit Fukushima Prefecture, which is the birthplace of Dr. Noguchi, and witness the prefecture’s progress toward reconstruction and its charms. Our connection with the two prize winners and other people in and outside Japan formed through Dr. Noguchi gives us great strength to move forward with an aim to become a new-born Fukushima filled with dreams, hopes and smiles. I think that what we should do to repay the support we have received is to make ongoing efforts with a feeling of gratitude, and to restore our beautiful homeland Fukushima as well as building a Fukushima filled with vitality and children’s smiles, and pass it on to the next generation. By inheriting Dr. Noguchi’s ambition for medicine and his strong will to overcome difficulties, we are determined to overcome this crisis and achieve the reconstruction and revitalization of Fukushima with our utmost efforts. 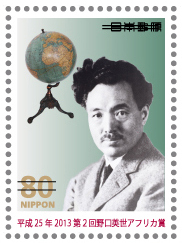 To commemorate the award ceremony of the Second Hideyo Noguchi Africa Prize to be held on June 1, 2013, post offices will start selling memorial postage stamps on May 31, 2013 (price: 800 yen per sheet containing ten 80 yen stamps). 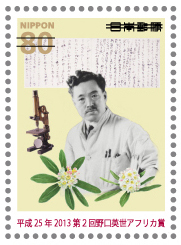 The issuance of stamps of Fukushima’s hero, Dr. Hideyo Noguchi, is also intended for supporting Fukushima. A motif associated with Dr. Hideyo Noguchi is designed on each stamp. A photograph of the globe that Dr. Noguchi regularly used, which is currently kept at the Noguchi Hideyo Memorial Hall in Inawashiro Town, Fukushima Prefecture, was taken for the design of the stamp, with the African Continent facing the front. Sweetroot flower drawn by Dr. Noguchi is designed in the outer frame of the stamps. Dr. Noguchi also had a talent for painting pictures, and has left many oil paintings and water-color paintings.